About Me: I always hate having to describe myself because most of the time, I have no idea who I am. Here is what I know. 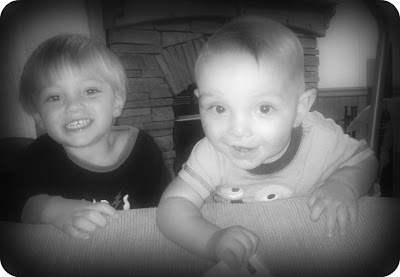 I am a young 20 something mother to two boys who are a year and 9 months apart; Blake (3) and Liam (2). They make my world go round, everything I do or have ever done is all for them. I am married to their father, working on 5 years. <3 We’ve gone through a ton of ups and downs in our marriage but it is so worth it to have someone to love your whole life. We reside in the low country of South Carolina. I strive to make our lives better and to achieve all my goals to become successful despite having my children so young and early on in life. I am an extremely ambitious person which can be difficult for me sometimes because I am also an indecisive person as well. You will read about my boys, it is inevitable for me to not share anything about them with my friends and family. I have been a stay at home mom and student for most of my children’s lives. I will be switching rolls very soon to being a working mom instead of a stay at home mom now that I have finished with my degree. About Cooking: I simply love to cook, and share what I make, no matter how small or simple it may be. I spend a lot of time meal planning, preparing for dinner, and coming up with new ideas. Everyone can use a little inspiration sometimes. About Weight Loss: I’ve always had issues with my weight. It is always an internal struggle and something that is always on my mind. After I had two kids it seemed like I would never lose it. I was always a chunky kid growing up. It made me insecure. In high school I had a real turning point where I began worrying about being skinny. At that point I started running around my block. I worked myself up to running 2 miles nonstop. I watched what I ate and yes I can still remember what a typical day would look like in food for me: mornings would be either a bagel with strawberry cream cheese or a slimfast shake, sometimes I ate lunch at school but usually I would wait until after school and hit up Wendy’s for a small side salad and 99 cents nuggets. I put my nuggets on my salad, and yum! I still like to do that to this day. Dinner would be whatever my parents made. After getting pregnant with Blake and having him, the weight shredded on its own over time but I still wasn’t fully there, toned, and fit yet when I got pregnant with Liam right when Blake turned one. I went through a few things right after Liam was born and even though I cared about the way I looked, I didn’t care to do anything about it but complain. I got to the point where I weighed more than what I did RIGHT AFTER having my youngest. Unacceptable! One day I just became motivated. I asked Travis (my husband) for an elliptical, lost a little weight before going on a cruise but I was still chunky. At this point my husband and I were in a long distance relationship. On December 9th, 2011 my step mother and I both decided to just attack this weight, fiercely. She began a physician’s weight loss program and I did everything on my own incorporating basic weight loss principles, eating right, 1200 calories a day, and working out. My goal was to lose 50 pounds in a year. I did not reach my goal weight by December 9th 2012. However I can create a new goal and I am: to lose the rest by simply living a healthy lifestyle. I want to be toned and fit for bathing suit season. Starting January 1st, 2013 it is on as my new, New Year’s Resolution! About My Hobbies: I have no idea where crafting will take me this year. It is all very new to me, but I plan to learn a lot over the next year and do a lot now that I will not be a student anymore. I really wish that I would have taken before and after pictures for our remodel for our home. Even though we have remodeled, it still needs a good bit of work. I plan on sharing a lot of new re-dos and crafty DIY projects that either I do or my husband does! Because Danielle with power tools is not a good idea. I love photography, I dabble a bit in it but only as a hobby. If I take pictures for someone it is typically for a low price that simply covers my gas money or time. I'm currently learning to sew with my new sewing machine I received for Christmas. :) Fun stuff.